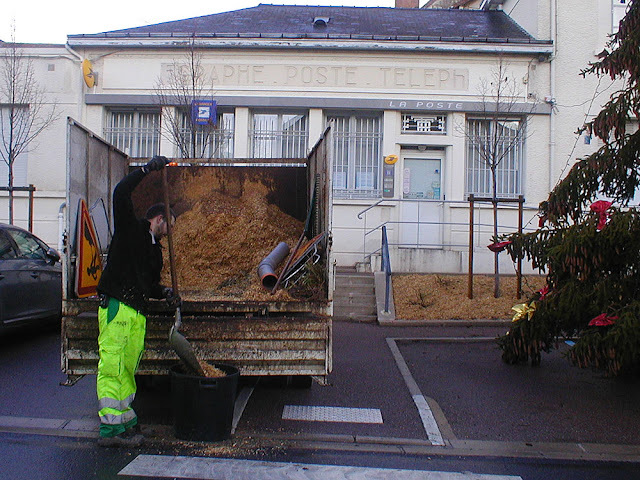 The other day I encountered one of our municipal workers putting fresh mulch on the garden beds out the front of the Post Office. The mulch is ground up tree branches from the council's pruning program so the municipality is recycling in a thoroughly economical and ecological way. If there's anyone out there who knows about this kind of stuff and who would care to cast an eye over his efforts (and there's really not much of it) we'd really appreciate it.